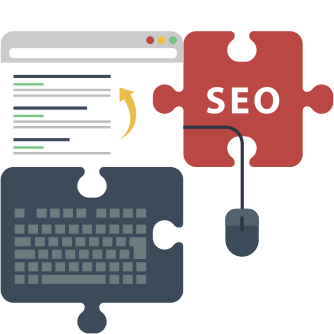 Our SEO and Internet Marketing Services are highly sought after due to the incredible results we've generated for hundreds of businesses (as evidenced by our testimonials). While it would be fantastic for us to have the ability to take on every business that seeks us out, the fact is that it's just not possible. There is no hiding the fact that we are the very elite internet marketing rockstars, and the word is out. Unfortunately, that means that we have to turn away a good deal of businesses that come to us. The great thing about that is that we can be incredibly selective with who we wish to work with. So the process with which we choose our clients that we are willing to work with is extremely important to us. We believe we've implemented a pretty fair set of principles that we require in order for us to consider anyone as a client. Due to the breadth of our work, and attention we give every one of our clients, we only work with a highly select group of businesses at any given time. We want to be able to maintain our reputation as absolute bad@$$ internet marketers. That reputation has been earned and we take the ability to over-deliver on every campaign we work on very seriously. With that said, the criteria that we have in place are listed below. Hopefully, you already have a fairly steady flow of leads and customers coming into your business. In other words, you are getting a decent amount of traffic to your website and it does convert (at some level). You may be doing some offline advertising. We're not saying you need to be recognized as a brand name in your niche...but we want you to at least be to the point where you will be able to satisfy the traffic that we generate for your business. In other words, please just have a system in place to satisfy new customers. This last one is non-negotiable. We require you to have a reputable, decent service or product to offer the traffic you want us to generate for you. We refuse to promote anyone who is using our expertise to exploit anyone online by not being able to deliver on their promise with their product or service. Basically, what we're saying is that we want to work with good people. We don't want to help the bad guy. Our results are far too powerful and we only want decent people to benefit from them. We consider our ability to bring customers to any business as a responsibility, and one we take very seriously. So that's it. If you'd like to work with the Marketing Sharks, please fill out the short Discovery Form below. NOTE: After we receive the form we will do extremely thorough research on your website and provide you with the best analysis you've ever had done on your site. This is not your typical automated analysis. We go in and record a video over our shoulder showing exactly what is going on with your online presence and how we can help you achieve great things with our internet marketing services. The value of this analysis is easily $500 at a minimum. And you will get it for free. So fill out the form below and we will be in touch shortly with your video analysis!